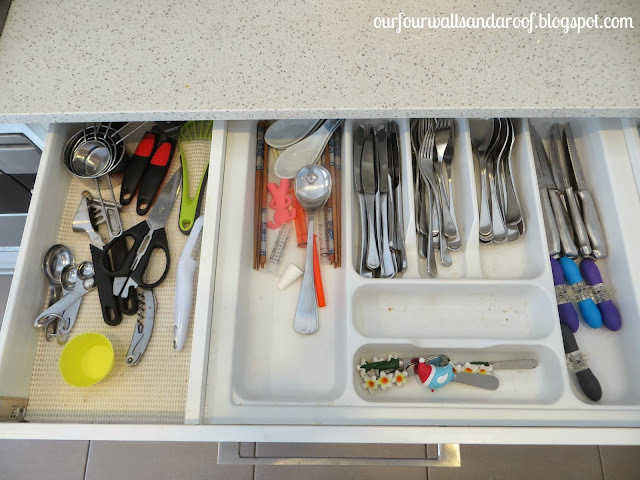 My drawers were the last to be organised in my kitchen, I don't quite know why I never got around to it. 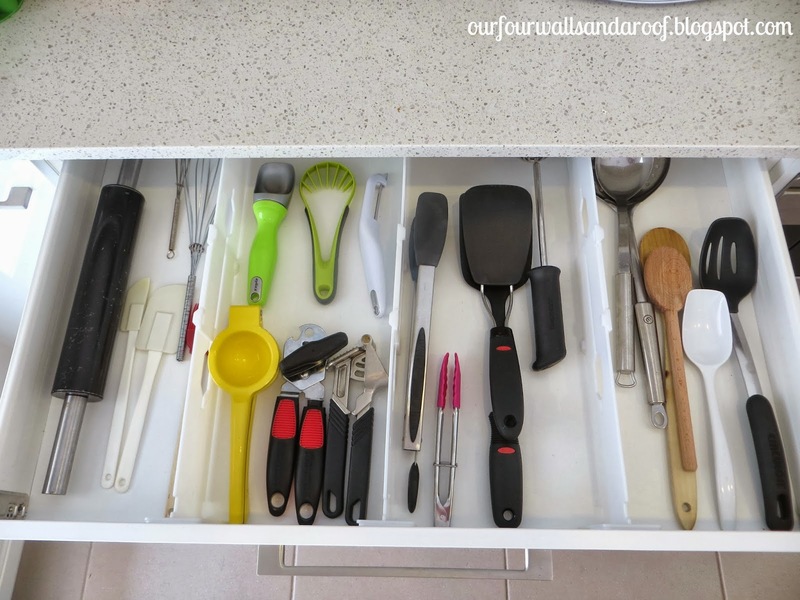 I always loved the look of the drawer dividers but every time I went out looking for them, no one had them in stock. One day at The Reject Shop, I was super excited to stumble across some expandable drawer organisers for $5 for a set of two. I grabbed two packets and off home we went. I have two kitchen drawers that needed organising, the first one stores mainly cutlery and the other has utensils. 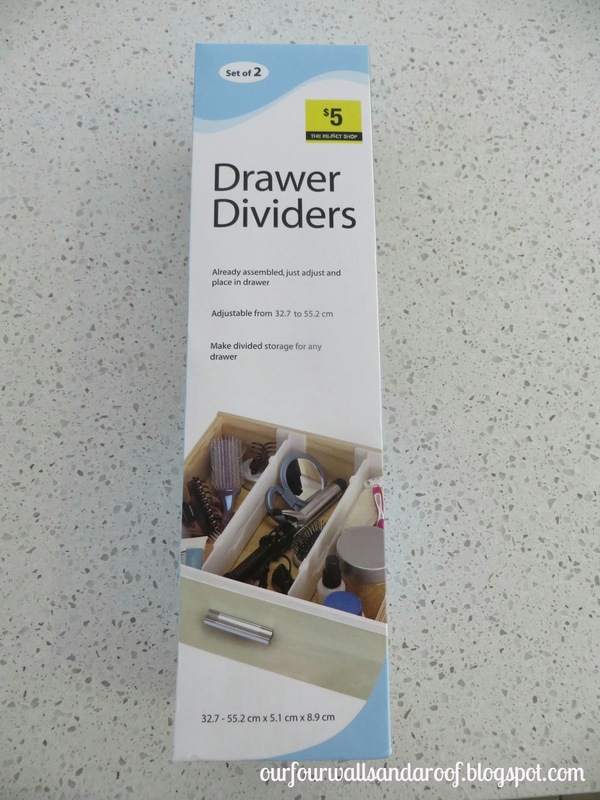 These are the drawer dividers that I purchased. "Before" of the first drawer. There is still a Christmas butter knife in there! 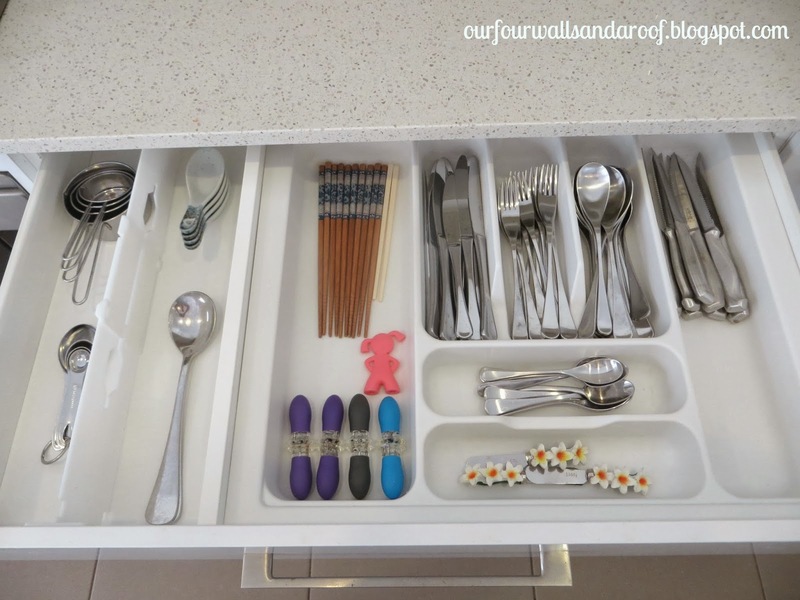 One more drawer to organise, this one holds all my utensils. This was was a bit messy! Organising this also gave me a good excuse to sort through, throw away and clean the drawer. There is even a broken spoon holder which my husband insisted I held onto. I'm really happy with how the drawers have turned out, especially for the bargain price of $10 and the space even looks bigger. I've had these drawer organisers in place for over 3 weeks and they have stayed firmly in place. 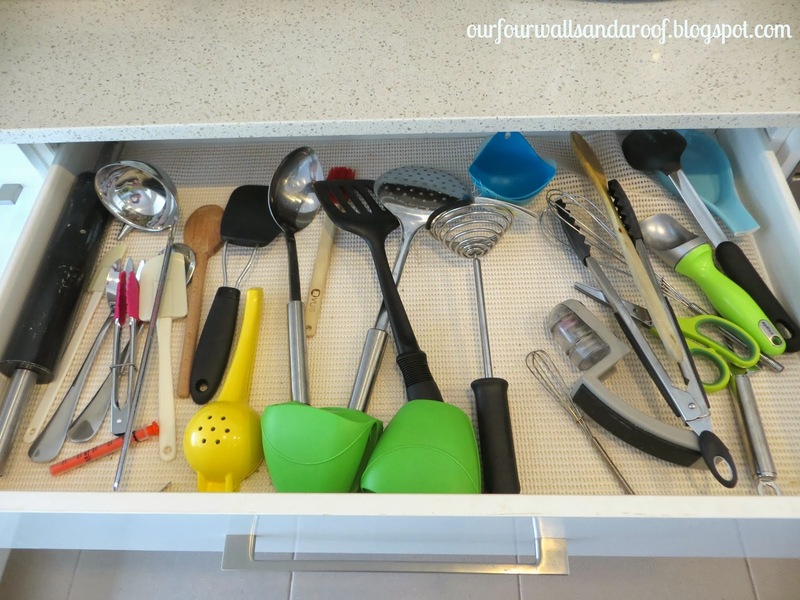 It's now a lot easier to put away the utensils, although my 6 year old daughter has just started unpacking the dishwasher and I've found a few oddly placed items, lol.